This summer I had the chance to take a week long road trip and travel around to a lot of historic sites in Virginia and North Carolina. One of my favorite stops along the way was my visit to Old Salem Museums and Gardens in Winston-Salem NC. I first learned about Old Salem while having dinner with Thomas Jefferson at Colonial Williamsburg. (No joke). During our visit, my wife and I had a great time exploring the historic area and visiting the many shops and buildings. 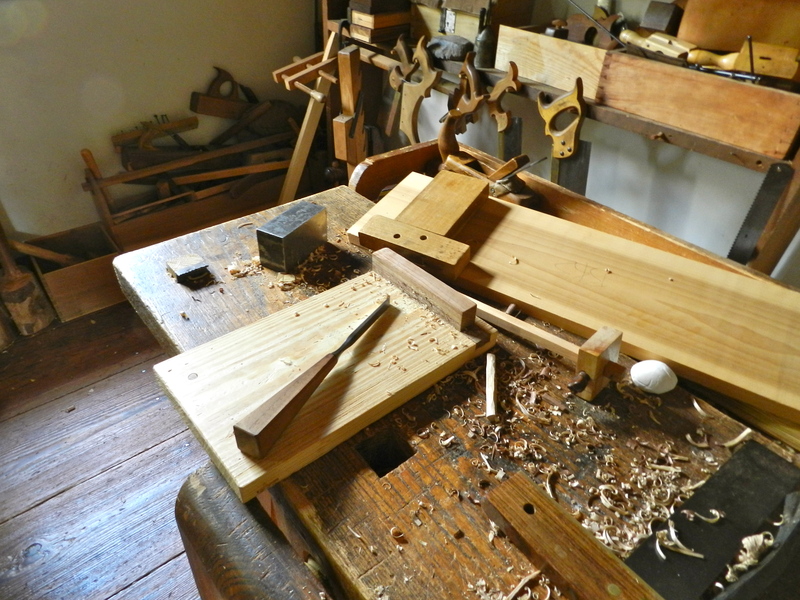 Great traditional bench — note how the shoulder vise is cantilevered out and there is a set of dog holes in the skirt as well. 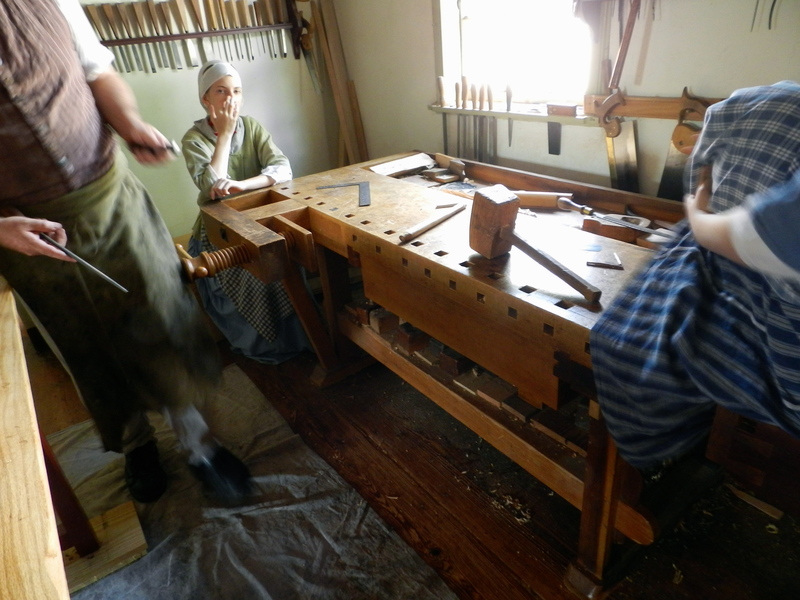 As always, the most exciting part for me was visiting with all the craftspeople who work in the various historic trades. 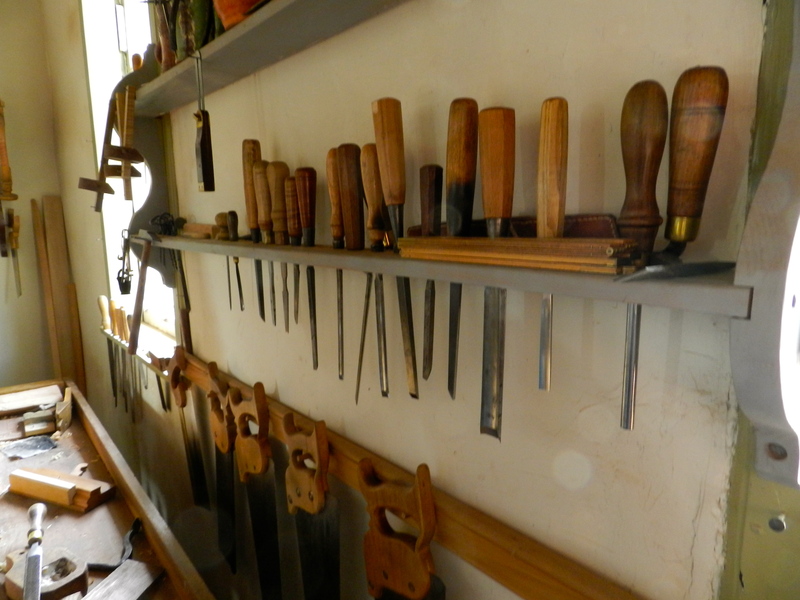 In the Single Brother’s House there were a series of workshops housing various trades that were vital to the community. 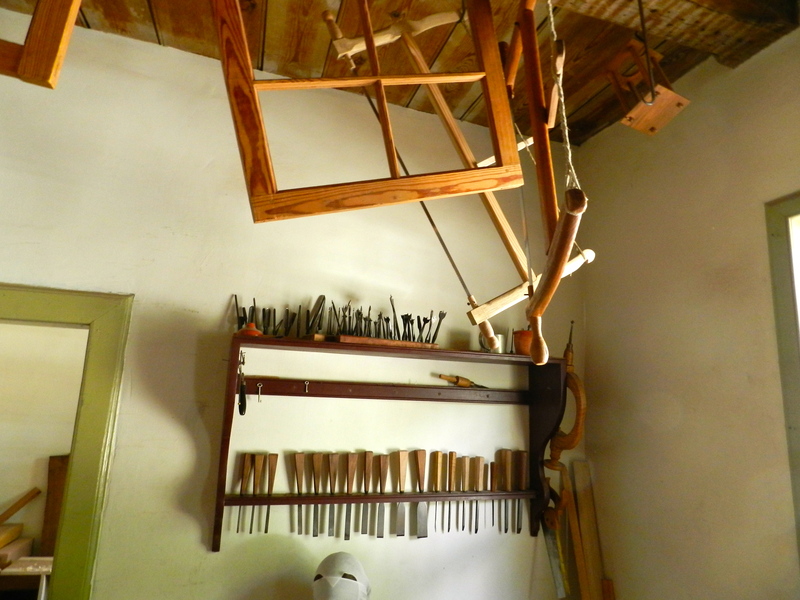 I felt right at home in the Joiner’s shop and if my wife would have let me I would have spent my day at the workbench talking to people…. 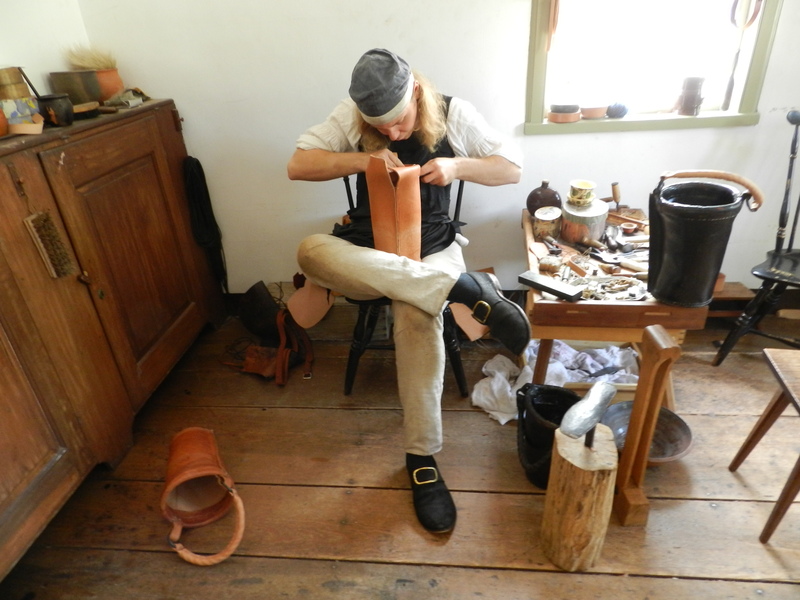 The shoemaker plying his craft — in this case making a leather bucket. 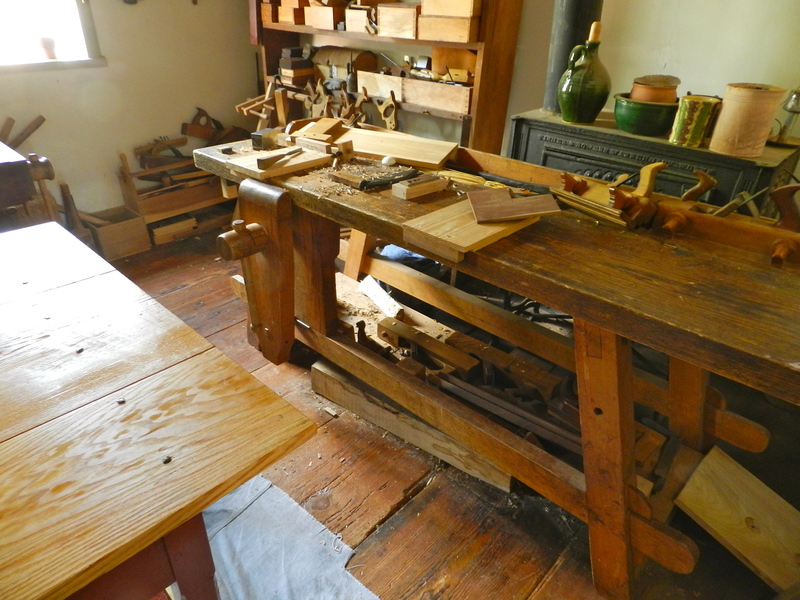 The single brother’s house was where young men of a certain age could learn the craft and ply their trade before they got married and moved on to their own homes. In the shoemaker’s shop we had a great chat with a shoemaker who was making a leather bucket which was one of the many other wares a shoemaker would make for the town. 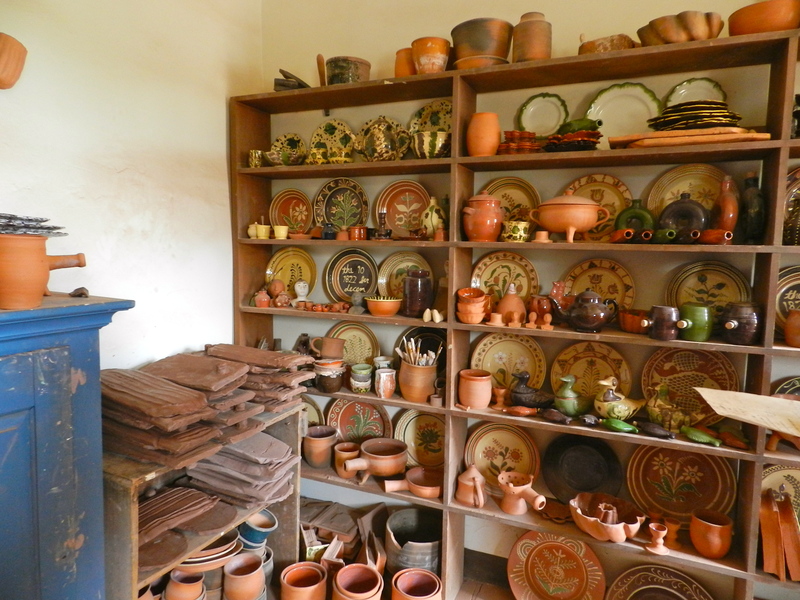 In the potter’s workshop you could see on display a wide variety of earthenware dishes, cups, and other ceramic objects. Most interesting to me were the ceramic tile shingles which you can see in the restored village. Other trades on display were the gunsmith, apothecary, tailor, tinsmith and gardeners. 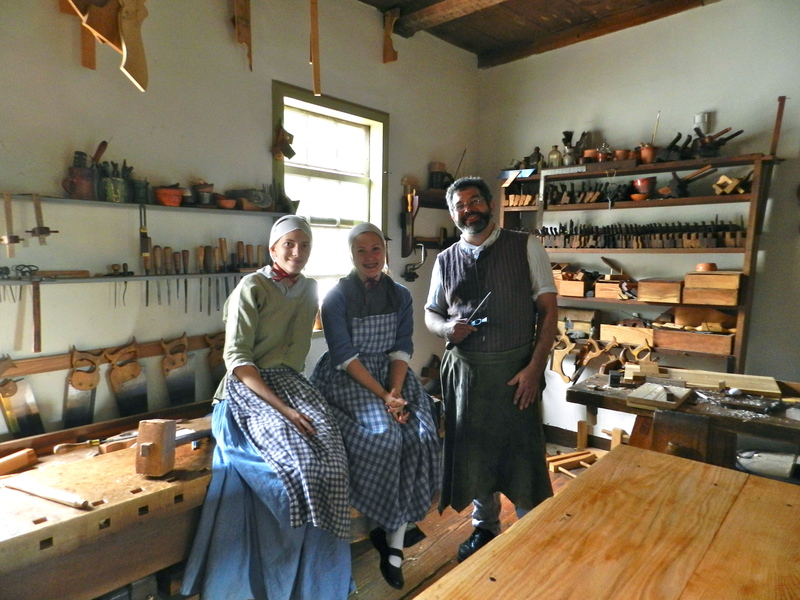 If you’d like to learn more about the craftsmen and women who work in the historic trades at Old Salem you can read more here. 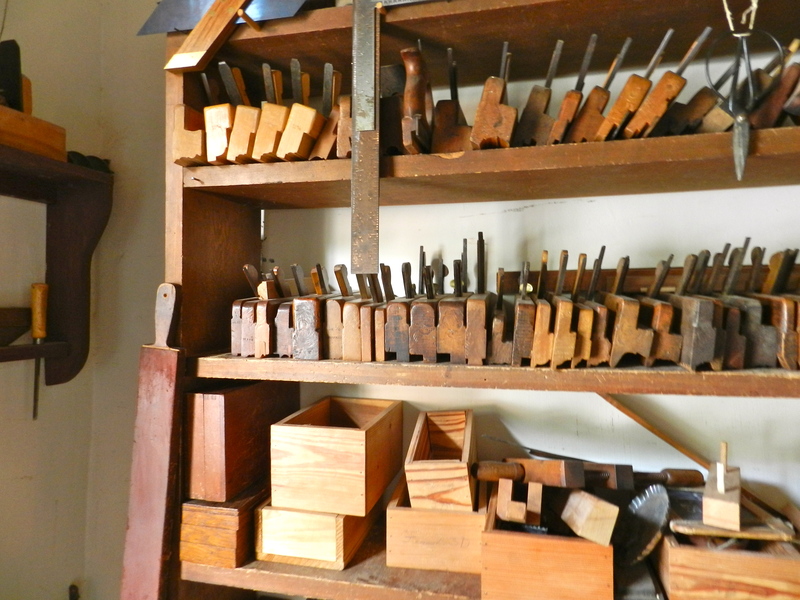 If you are ever in the Winston-Salem area I highly recommend visiting Old Salem and checking out the workshops.